Detectives investigating small improvised explosive devices that were received at locations in London and Glasgow on 5 and 6 March are now linking a fifth device found today, 22 March at a postal depot in Limerick, Republic of Ireland. 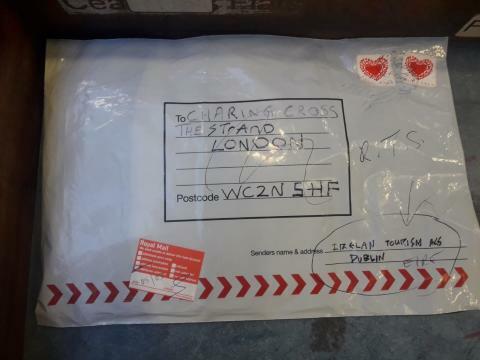 Whilst police officers from An Garda Síochána are investigating the package found in Limerick today, it is being treated as linked to the four packages received in London and Glasgow. Detectives from the Met’s Counter Terrorism Command continue to lead the investigating into the London packages working alongside detectives from Police Scotland who are leading the investigation into the Glasgow package. Further to this, officers from both the Met and Police Scotland are now also working closely with counterparts in the Republic of Ireland to share any information that could assist the respective inquiries. 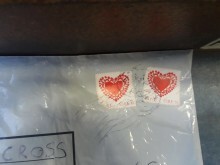 Deputy Assistant Commissioner Dean Haydon, Senior National Coordinator for Counter Terrorism Policing said: "Whilst it is still early, from the images we've seen and from speaking to our counterparts in the Republic of Ireland, it appears that the package found in Limerick is linked to those sent to London and Glasgow on 5 and 6 March. "One line of enquiry is that the package found today in Limerick was returned there having never reached the intended recipient in London. “We will continue to work closely with our counterparts at both An Garda Síochána and Police Scotland to identify those responsible for sending these packages and enquiries are very much ongoing. "We are also aware that a claim of responsibility made on 11 March referenced there being a fifth package. Whilst that remains a line of enquiry, we continue to keep an open mind on who may be responsible and any potential motivation. Extensive advice has already been issued to relevant businesses and sectors to be vigilant for and report suspicious packages to police. This advice is being reiterated following the discovery of the package in Limerick and an image of that package is also being issued to the public. Any suspicious activity can be reported by calling the confidential phone line 0800 789 321 or filling in a secure form at http://www.gov.uk/act . In an emergency always dial 999.